Here is a video of a protest held in Berkeley against the arrests at Standing Rock. 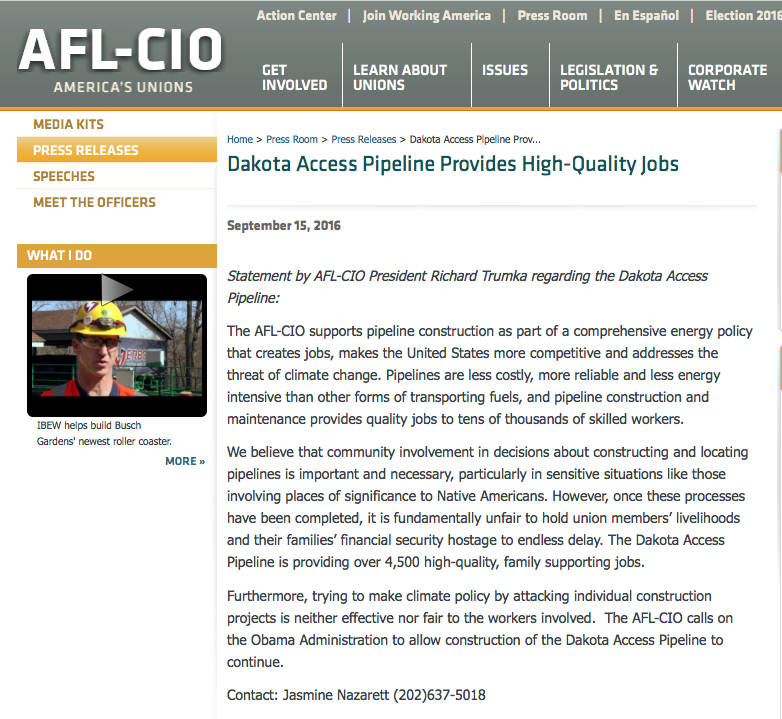 Reference was made to the statement made by the AFL-CIO in support of the pipeline. Here is a screen shot of the AFL-CIO’s web site with that statement. Please note that it suggests that if you have questions or comments you contact AFL-CIO staffer Jasmine Nazareth at (201) 637 5018.